Existing Clients please use same Username that you have before. Password will be default set to 1234 and upon logging in you can change your password to be customized. 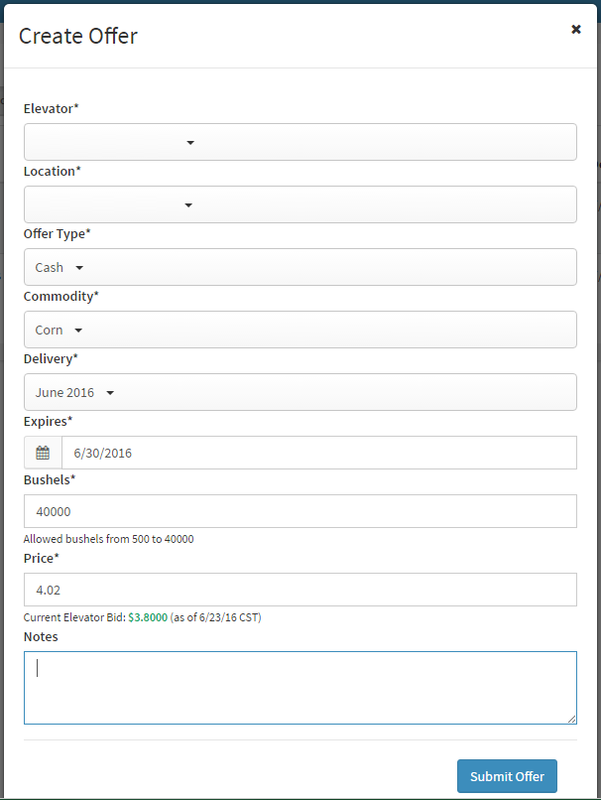 Instructions for Submitting Grain Offers. General Dashboard Screen will show your current offers along with the ability to sort/organize your dashboard by the tabs at the top. Clicking in the upper right corner you can go to Settings and adjust your contact information or setup Preferences and Data Options. Clicking on "+Create Offer" will allow you to start submitting a new online offer. 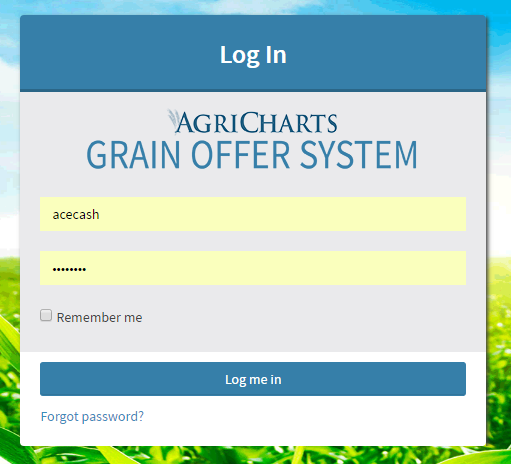 This offer will be added to your dashboard where you can then click on the "Offer #" to see the status of the offer and history of the offer.